As if one huge order of Baby Back Rib in TGIF is not enough, our gracious hosts Zaya and Trisha served us a huge plating of Marinara Pasta with Shrimp Sauce in Italianni's, three pieces of roasted chicken in Classic Savory and a whole boodle fight of Filipino dishes including prawns, pancit and pork barbecue, or collectively, the Sizzling Plate Overload in Seafood Island. Did I mention we also went to Red Kimono, Pizza Hut, Sumo Sam and Giligan's in a span of 6 hours? Too much I'm imagining all of you who are reading this will say but the Lord and all the Saints should excuse my gluttony as I only had the appetite for such food trip only last Saturday, November 17. I couldn't quantify anymore how much carbohydrates I consumed, or how much fats were stacked inside my body but I will be forever thankful to MarQuee Mall for such wonderful multiple dining experience. 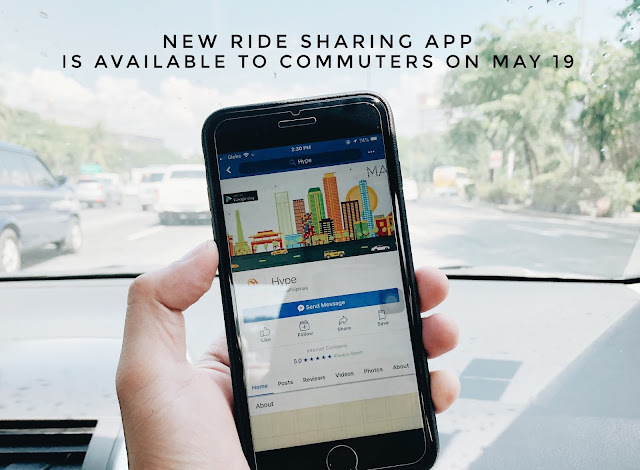 This is something that you guys can also try out too as soon as you set foot in one of the only two Ayala Lifestyle malls in the north. 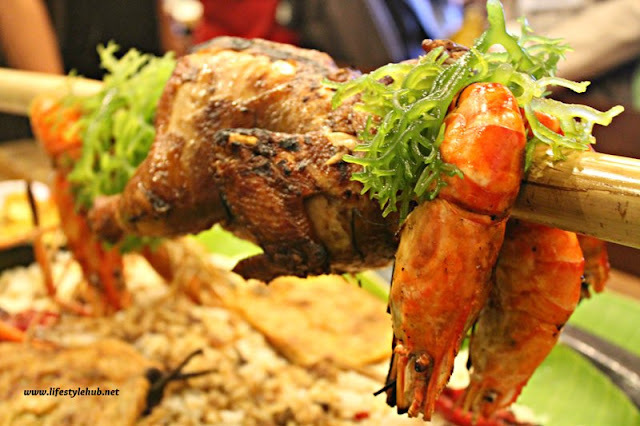 The food trip held for selected bloggers is MarQuee Mall's way of saying they can also offer what other Ayala Malls in different parts of the country can offer when it comes to food. Occupying around 53 hectares of land in Angeles City in Pampanga, MarQuee Mall is boosted by the Ayala company to define shopping, entertainment, and as what we tested, dining, in a region known for its delectable dishes. The mall has been serving the ABC consumers in Central Luzon for almost three years now bringing in brands which only be found previously in the most exclusive of malls in Metro Manila. Aside from local and international favorite restaurants and food shops, the mall also houses food stores that are unique to Pampanga. Those I will share to you in the Part 2 of this post. 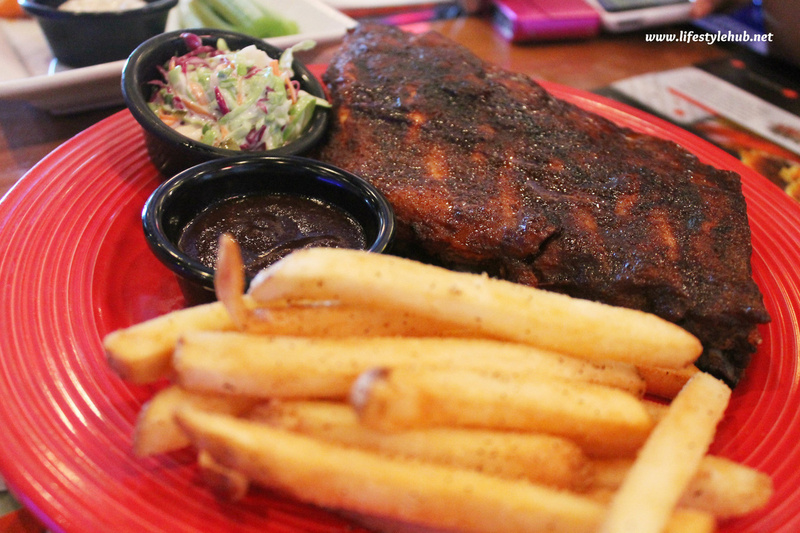 For now, join me in a photo food trip as we conquer MarQuee Mall in a mouthful! with Crunchy Fries. This combo is priced at P1,195 (whole) and P675 (half). Providing us an early dessert after the heavy American meal is Red Kimochi (P130) in Japanese resto Red Kimono. 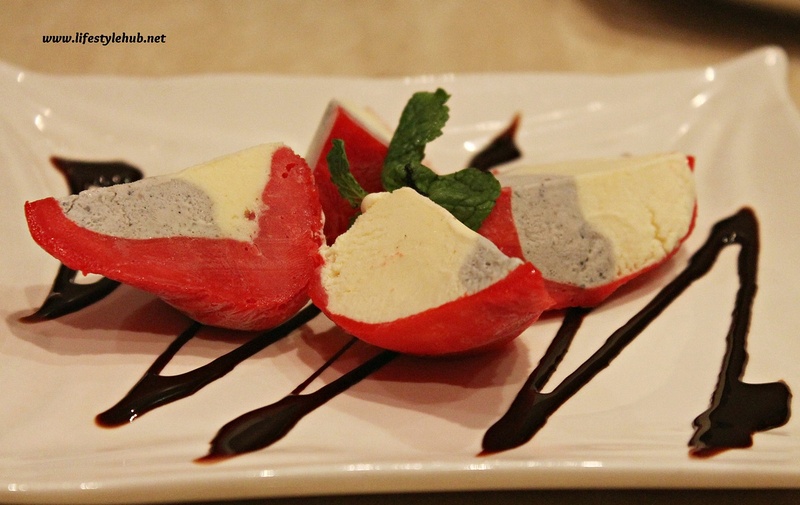 Red Kimono aims to attract the younger market with this ice cream dessert. 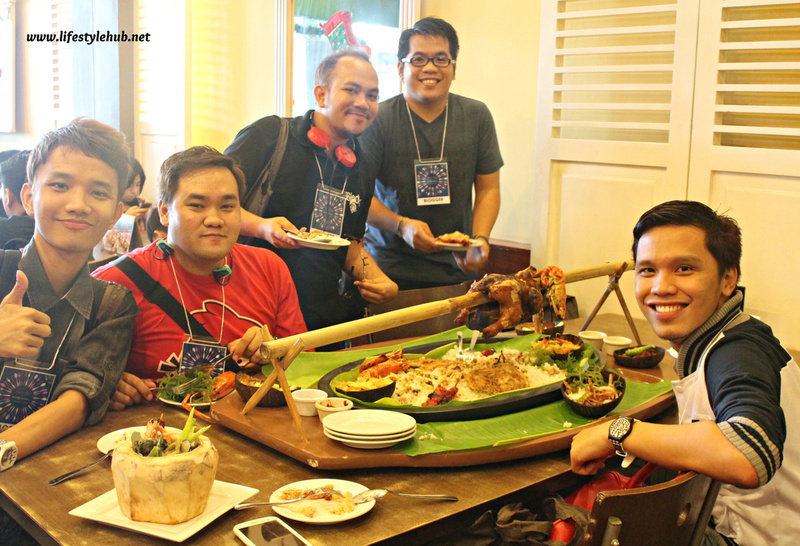 Third stop is a fiesta menu in Seafood Island they call collectively as Sizzling Plate Overload. Ensaladang Lato, Itlog na Maalat at Kamatis and Binagoongag Baboy can host a party for 12 people. The 4th stop gave me the biggest burp so far for the day. Italianni's Marinara Pasta with Shrimp Sauce provided a perfect sweet and salty taste I so love in a dish. I almost consumed this huge serving all by myself. Our stop in Shakey's had something groundbreaking in it. 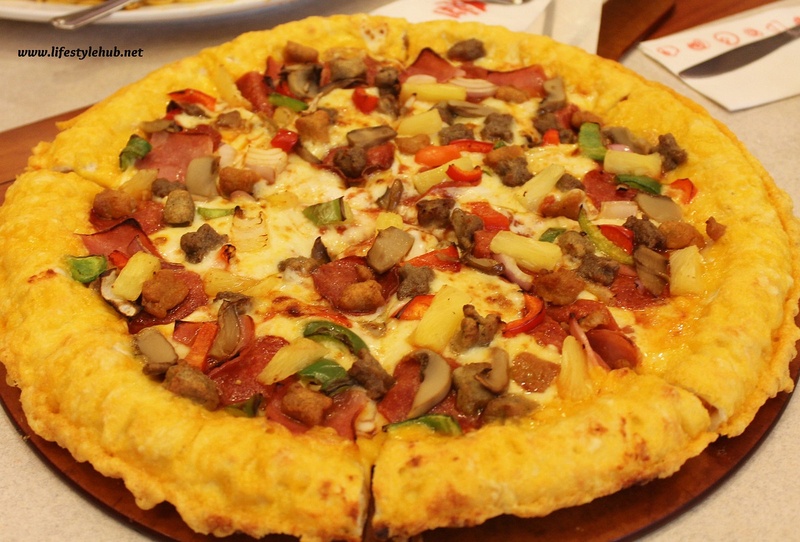 Only on it's 2nd day, the biggest pizza food chain in the country has introduced the Parmesan Cheesy Crust Pizza. 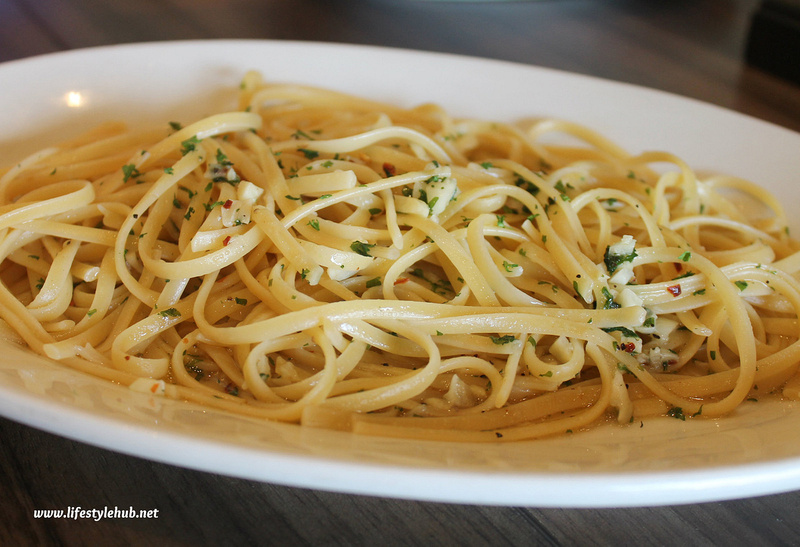 Spaghetti Bolognese with Meatballs is still my all-time favorite Shakey's piece though. 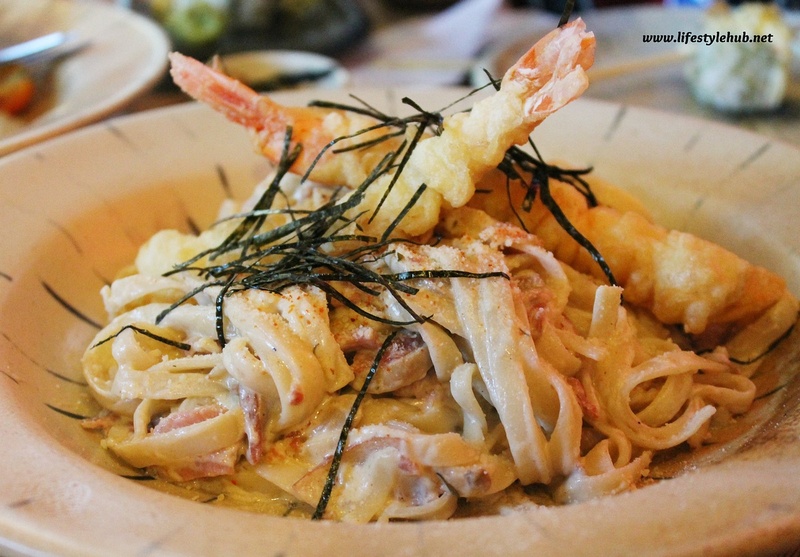 Sumo Sam and their Japanese Carbonara is our 6th stop. 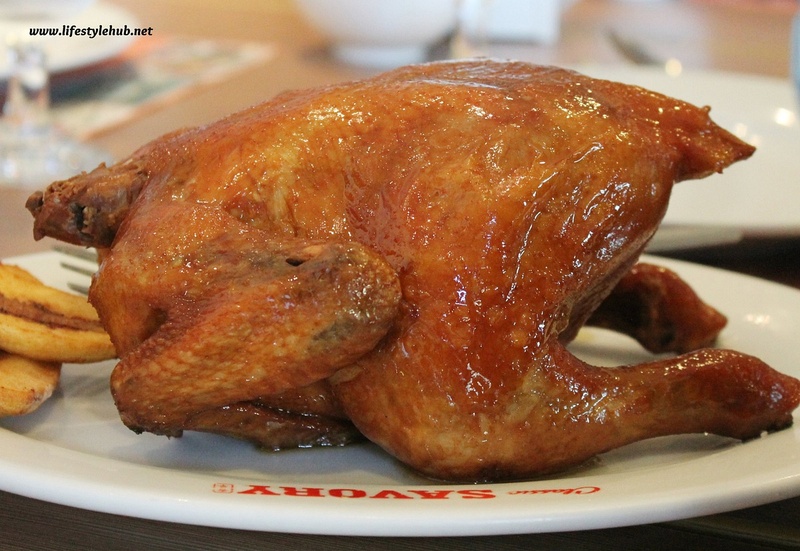 The best way to savor Savory is through their Classic Roasted Chicken. Our group of 10 bloggers consumed 3 of these! 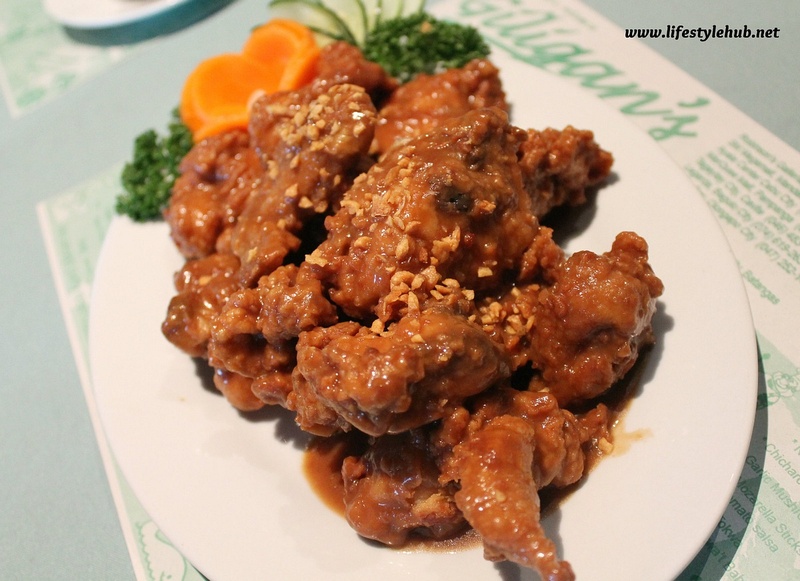 I almost thought it was drinking time when I saw Giligan's Fried Garlic Chicken. This was just the perfect ending to Part 1 of our food tour. 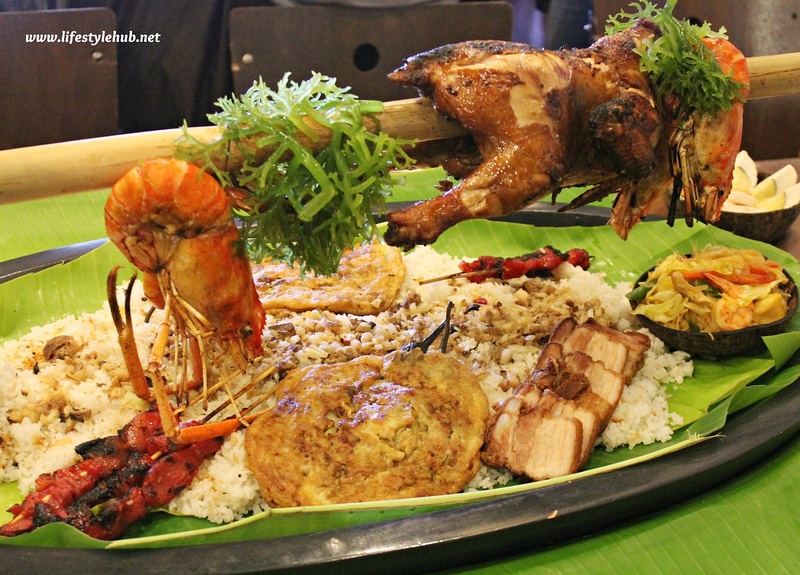 Me (rightmost) murdered that chicken inasal in Seafood Island. Oh, you could not blame us.